Automatic Websites helps corporations design and market mission critical solutions that exceed their goals. Client: Honeywell (formerly Vocollect, Inc) Pittsburgh, Pa. Originally contracted to help fully redesign an J2EE enterprise application for wireless, wearable, voice activated computing devices. Also developed and taught training classes for employees and clients. Retained as lead to create design plans, estimates , and schedules to develop new handheld Windows C# prototypes that help nurses with patient workflows which resulted in two patents. Also, coordinated investigations of nurse call and McKesson Horizon Clinicals’ interfaces. Developed a pilot for a real-time terrorism response system that simultaneously locates and notifies thousands of physicians and emergency workers and determines the status of each hospital bed in Western PA. Wrote J2EE Portlets to access hospital systems and call web services that performed voice notifications. Led a team to devise an architecture conversion plan that enabled 30 .NET enterprise applications to work with the new expanded data model needed by the National Guard. Client: Los Angeles County Employees Retirees Association (LACERA) Manages over $20 Billion in assets for 120,000 county employees. Description: Designed a java-based web application that enables websites to comply with Section 508 of the Americans with Disabilities Act (ADA) by making websites compatible with devices used by people who are visually impaired. This application saves over one thousand hours per year in manual updates. Also led a team that explored spinning off the application into a commercial product. AutoComply is a commercial spin off of a trouble-free software service that helps make your existing website compliant per Section 508 of the Americans with Disabilities Act. Created behind the scenes programming to automate website. created publishing tool to produce weekly e-zine automatically. 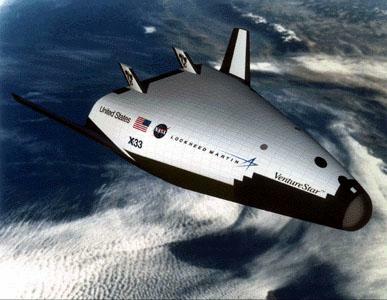 This is the prototype for the new space shuttle to be used by NASA in the 21st century. Developed a custom Field-Programmable-Gatearray (FPGA) using the verilog language for an Advanced Flight Experiment. When commanded, this FPGA reads data from the Advanced Gyro, Accelerometers, and Temperature sensors, then transmits the information back to the flight computer. This project has been transferred to the Air Force. Developed a network of computers for a state of the art learning lab for a private elementary school called “The ExtraOrdinary Place” located in Los Angeles, Ca. just South of the Downtown area. Also built an advanced Dial-up Server network to allow them to provide Internet Service for the students, parents, and faculty. 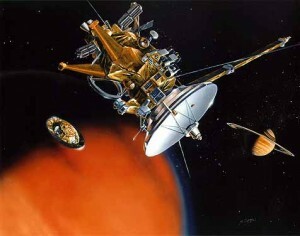 Served on the technical review board for Mars Pathfinder Rover. This was a two-day technical review board that reviewed the electronics design for the Rover. On July 4, 1997, The Mars Pathfinder Rover called “Sojourner” successfully landed on the surface of Mars. 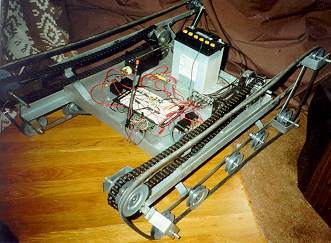 This robot was built for a project for Carnegie Mellon University. It is radio-controlled and uses a pulley-based tread design for mobility. It traverses rough terrain, including staircases.